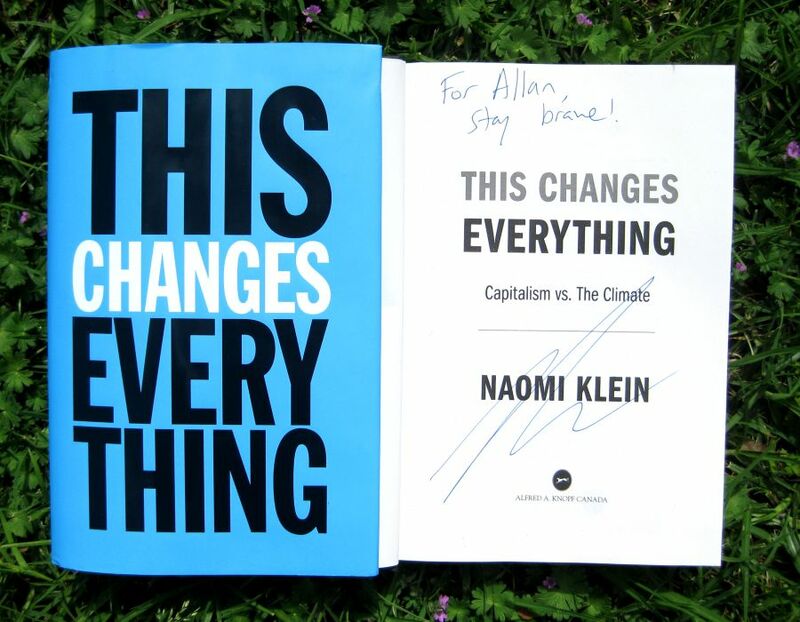 Over the years I've had the pleasure of chatting with Naomi Klein on a few different occasions; there was that first Prairie Festival at the Land Institute in Kansas that we both happened to attend in 2010, that second Prairie Festival which she spoke at in 2011, and the opening night talk she gave at the Toronto Reference Library the day before her latest book (This Changes Everything) was released – not to mention all those other times I've seen her speaking in Toronto (where we both used to live for several years). And although I've only very briefly spoken once to Klein's filmmaker-husband Avi Lewis (at that second Prairie Festival), there was that time in Toronto that Lewis and I stood next to each other for about half an hour and managed to say not a single word to each other. But I'll get to that in part 2. While Lewis is known for his work hosting various television programs on MuchMusic, CityTV, CBC, and Al Jazeera English, as well as for directing a few documentaries, it is Klein that is the more well known of the two, mostly due to her books No Logo, The Shock Doctrine, and This Changes Everything. That being said, one year ago this week – and at last year's Toronto International Film Festival (TIFF) – the Lewis-directed documentary This Changes Everything had its world-premiere, an event that coincided with the release of the Leap Manifesto. 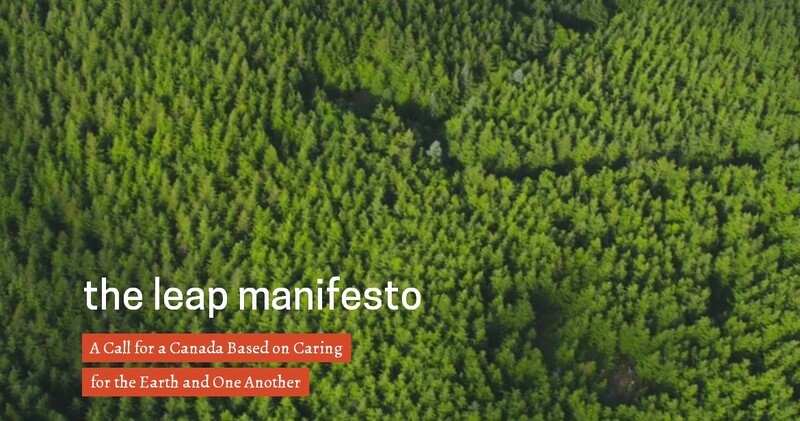 The Leap Manifesto, which received much media coverage upon its release, is a 15-point plan for tackling the climate change dilemma we're currently faced with, particularly in respect to Canada. However, with the Leap Manifesto's one-year anniversary being today, and with it now appearing that there isn't going to be some kind of Leap Manifesto Redux in association with this year's TIFF, I'd say it's time to declare that the Leap Manifesto was in fact a colossal letdown. To explain, I'll start by conveying a little chat I had with a fellow attendee at the 2014 Age of Limits (AoL) conference. –nope, no buts allowed was what I took from Robinowitz's response: "Tell you what. You ask Klein about limits to growth and see what she has to say." How does what you write in your new book relate to limits to growth, if at all? As a friend who I bumped into a few minutes later said to me, "That was you that asked that question? That was the only good question asked!" And then in hushed tones, "But Naomi's response was awful." Unfortunately I couldn't have agreed more. Although I don't remember Klein's entire response, this gist, and which she stated word for word before some talk about windmills and solar panels and such, was "That's why we need green growth!" Brave enough to also point out the collapse- and energy depletion-related issues we're already facing! This growth imperative is why conventional economists reliably approach the climate crisis by asking the question, How can we reduce emissions while maintaining robust GDP growth? The usual answer is "decoupling" – the idea that renewable energy and greater efficiencies will allow us to sever economic growth from its environmental impact. 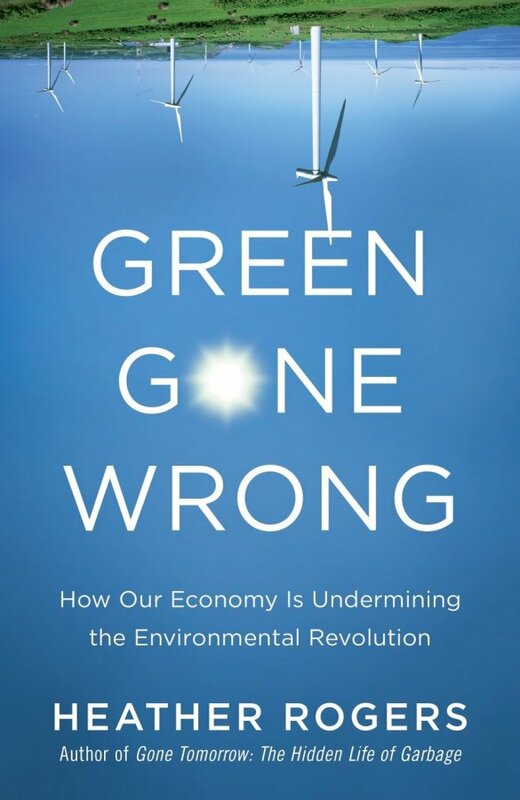 And "green growth" advocates like Thomas Friedman tell us that the process of developing new green technologies and installing green infrastructure can provide a huge economic boost, sending GDP soaring and generating the wealth needed to "make America healthier, richer, more innovative, more productive, and more secure." We're just going, "Green jobs, green capitalism, change your light bulbs, this isn't as scary as you think." And who was it, you might ask, that made those statements? That would actually be none other than Klein herself (see here and here). While I think it's safe to say that Klein isn't a Friedman-ite, the response Klein gave to me can certainly still give the impression that her belief is that rather than changing our light bulbs we should instead be changing what powers those light bulbs (c'mon, this isn't as scary as you think!). Moreover, upon reading in one sitting the dozen or so articles by Klein and about the Leap Manifesto that I'd saved over the past year, I was rather startled to realize that not only does Klein readily dismiss energy depletion issues, but that her writings are rife with inconsistencies. So much so that they seem to imply not just energy depletion dismissal, but possibly even energy depletion denial. From Klein's apt blurb on the back cover: "The climate crisis is far too urgent to squander another decade on false solutions"
We will attempt to transcend peak oil and gas by using increasingly risky technologies to extract the last drops, turning ever larger swaths of our globe into sacrifice zones. It seems to me that the premise you’re working from here is that change is going to be forced upon us by peak oil and my fear is that we have too much oil – too much unconventional fuel of various sources; not just oil but natural gas, coal. So here’s the big question: What if global warming isn’t only a crisis? What if it’s the best chance we are ever going to get to build a better world? Change or be changed. I dare say, but how is it okay to say that we will "change or be changed" by global warming, but it's deemed questionable to act on the premise that "change is going to be forced upon us by peak oil"? Is that latter quote of Klein's not allowable if the words "global warming" are replaced with "peak oil"? To give Klein the benefit of the doubt, let's suppose that her gripe with peak oil is that even if there's roughly half of the all-time supply of oil left (to be burned up), that that's still plenty enough to mess up the climate a whole lot more. Let me state then that I, and I'd guess most others concerned with peak oil, don't doubt that "[t]here is enough oil in the ground to deep-fry the lot of us" (as George Monbiot put it in 2012). But just because some people (like Jeff Rubin) think that peaking oil supplies will imply a respite for CO2-induced climate change, this doesn't mean that everybody thinks this way. That's a bit like saying that just because cherry-picking-Guy-McPherson envisions climate-induced near term human extinction (NTHE) within a few years that all advocates for climate change-awareness and -action have gone off the deep end and we should just stick to social justice issues. My crisis isn't bigger than your crisis. They're interconnected, they're overlapping and we can come up with solutions that solve multiple problems at once. In some ways I think it would be a blessing if we were in a more precarious energy situation, because it would force that change... I don’t feel that we have the luxury to wait for change to be imposed from the outside and just have to decide whether we’re going to manage it or not. We declare that "austerity" – which has systematically attacked low-carbon sectors such as education and health care, while starving public transit and forcing reckless energy privatizations – is a fossilized form of thinking that has become a threat to life on Earth. I think Klein has inadvertently made a rather astute observation here, because austerity is a "fossilized form of thinking." That is, it's a form of thinking that emanates from an economic system and a modern way of life made possible by copious supplies of fossilized energy sources, something that neither of those are able to give up without offing themselves in the process. the austerity being imposed on Greece... is being used as an excuse to open up all these new dirty projects. They're talking about drilling for oil in the Aegean and Ionian seas, some of the most storied oceans in history. Well of course they are! What seems to have gone right over George Monbiot's head when he wrote his article "We were wrong on peak oil. There's enough to fry us all" back in 2012 is that the peak extraction rate of conventional oil was reached back in 2006, and it's only the desperate scraping of the bottom of the barrel for unconventionals – fracking, tar sands, deep sea, etc. – that has kept overall levels from peaking. But unconventionals are believed to be quickly reaching their peak as well (possibly even this year), so for a myriad of reasons it's no wonder that there's talk of tapping Greece's seas for a last desperate hit. You start reducing the amount of energy usage by everybody across the board – rich and poor, centre and peripheries. This way there's an equitable reduction in energy usage by all involved (if not a greater reduction by those at the top since they're already using so much more). This is so far not happening in the slightest. You adhere to the belief and promises of 100% renewable energy and blame politicians for not implementing the right policies. a just climate response would see the US and other rich countries having less so that others could have more. The fact that we’re investing so heavily in military and border control at the same time we're cutting infrastructure – it's a choice about how we are going to deal with climate change. It says, "we're going to try and fortress ourselves and protect what we've got". But economically/energetically speaking this isn't something we're going to do, it's something we are doing, right now, in response to energy shortages. And if the fewer and fewer of the West – or the Global North or whatever you want to call it – want to continue living high off the hog of industrial civilization's plunders for as long as they can – as the overwhelming evidence seems to be showing – then austerity – "fortress ourselves and protect what we've got" – is the name of the game. there is something going on where a world view is saying that there will always be more, that there are no limits, there's a new frontier around the corner, technology will come and save us. Technological breakthroughs have brought this dream [of 100% renewable energy] within reach. 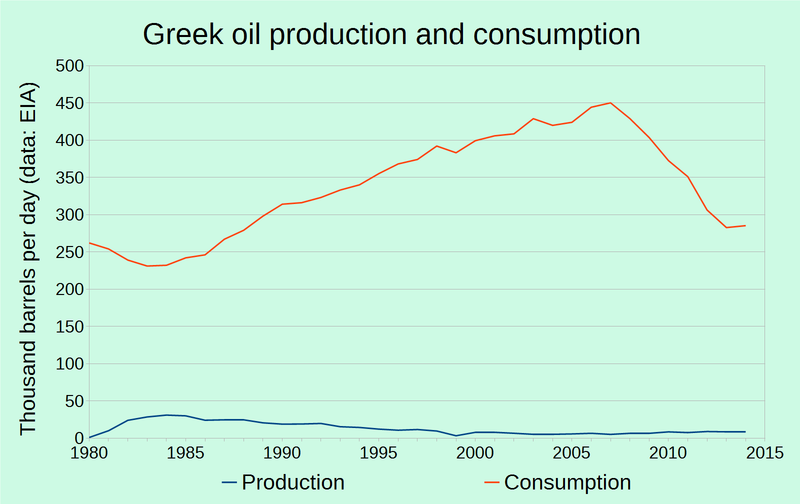 Perhaps Canada should also be concerned about peak oil? we can transition away from fossil fuels very rapidly in line with what... engineers are telling us we now can do because of these breakthroughs in technology. And what do we want from these "breakthroughs in technology"? [W]e want energy sources that will last for time immemorial and never run out or poison the land. Never mind that we've already got one of those (it's called the sun), but what exactly are the energy sources that these "breakthroughs in technology" can now give us? The latest research shows it is feasible to get 100 per cent of our electricity from renewable resources within two decades. We demand that this shift begin now. And not only that, but working off of "the latest research" the Leap Manifesto also demands the (supposedly feasible) complete shift from all fossil fuels to renewables by 2050. Several studies have found that when industry funds nutrition research, the conclusions are more likely to produce findings favorable to that industry's products. That doesn't automatically dismiss the studies that Klein and the Leap Manifesto refer to, but when one places too strong of an importance on politics, and not on physics, it's bound to muddy one's perceptions. I'll get to that, and more, in part 2.